In paragliding, were combating the forces of gravity to stay airborne as long as possible, and to descend at safe and controlled speeds. So while strong winds (in combination with a powerful glider wing) can support surprisingly large amounts of weight, there is an upper limit. Theres effectively no minimum weight a tandem flight, and we can carry tandem passengers up to a maximum weight of 120kg (265lbs). Those who become licensed paragliders and start flying solo will learn to calculate more exact limits, which will be based on factors including (standard) body weight, glider wing size, the amount of gear you carry, and local wind conditions. Am I too old to paraglide? Dont worry if you fear youre too old (or too young), either  weve had everyone from children to the elderly join us in the skies. Theres no minimum or maximum age when it comes to paragliding, so long as you can follow a few simple instructions designed for your own safety. The important thing to understand about paragliding is that while it may have a reputation associated with extreme sports, its actually a quite serene and poetic experience. Theres essentially no physical toll on your body  particularly in a tandem paragliding flight, where your instructor takes the reins  aside from the light impact of landing at the end, and therefore no need for any particular level of strength or flexibility. 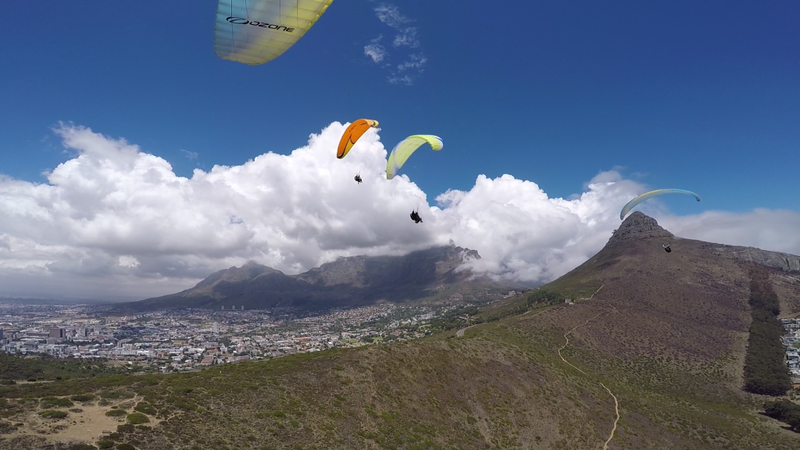 Whether you can paraglide with a disability will depend very highly on the form and severity of that disability. While the physical demands of this sport are very low, those without the use of their arms or legs may have some difficulty with operation and landing (although thats not to say they cant make it work). Of course, tandem flights can be handled more or less entirely by the trained professional accompanying you, so thats an option in nearly every instance. But ultimately, if youre unsure whether youd be capable of operating a paraglider, just reach out and ask us!